GENEVA Those arriving in Switzerland to work, and those who have lived here for years, know well how expensive it can be to rent a house or an apartment in the Lake Geneva region – and that’s if you are lucky enough to find something. Negotiating contracts and understanding tenants’ rights may prove equally daunting, but there may be some good news on the horizon. 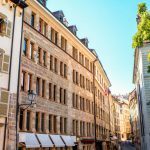 Seven cantons, including Fribourg, Geneva, Vaud and Neuchâtel, already have such a requirement when a new lease is finalized, but the new official form, which can be downloaded from the internet, must be submitted before the lease is concluded. Another change provides for a one-year notification period for any rent increase to guard against sudden landlord increases in the early years of the lease. 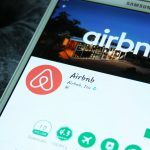 The Council’s statement said that rents can no longer be raised simply by citing improvements, whether in energy efficiency or otherwise, “unless the tenant has been duly informed in writing before the contract is concluded”. 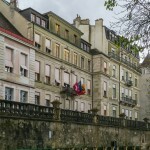 Asloca, the organization representing tenants’ rights, is satisfied with the proposed revision, but Christian Dandrès of Asloca Geneva noted that in the Suisse romande it will affect mainly the cantons of Jura and Valais; the other four cantons have had this requirement for several years. “We are pleased that there will be greater transparency for tenants, especially foreigners, who may not understand their rights. While we in Geneva have access to free legal assistance in such matters, many tenants are nevertheless reluctant to take legal action to challenge an unjustified rent increase.” He also pointed out that other cantons, such as Valais, do not provide free legal assistance in such cases. The revisions in the existing law apply to residential property only and must be approved by parliament. According to the official statement, the obligation to use the new formula to communicate rent increases “will apply regardless of the existence or not of a housing shortage”. Not surprisingly, the housing federation for Suisse romande, Fédération romande immobilière (FRI), is not so pleased with the proposed revisions. 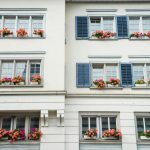 “It is foolish to make it mandatory for the entire territory of Switzerland to use an official form indicating previous rent, even in cantons not facing a housing shortage,” it said in a statement. The FRI also finds that the proposal does not take into consideration the costly requirement for rental agencies and landlords to provide greater energy efficiency in order to meet the goals of Switzerland’s 2050 Energy Strategy. Given that Geneva alone is predicted to require 50,000 more housing units by 2040, there is concern among some urban planners. Dr Sara Carnazzi Weber, a Credit Suisse researcher, told a British-Swiss Chamber of Commerce conference that what the Lake Geneva region needs to do to remain competitive is to have fewer administrative constraints that hinder new residential construction, in a market still marked by extreme shortage. The cantons and interested parties have until 30 September 2014 to address their concerns before the law is submitted to parliament.